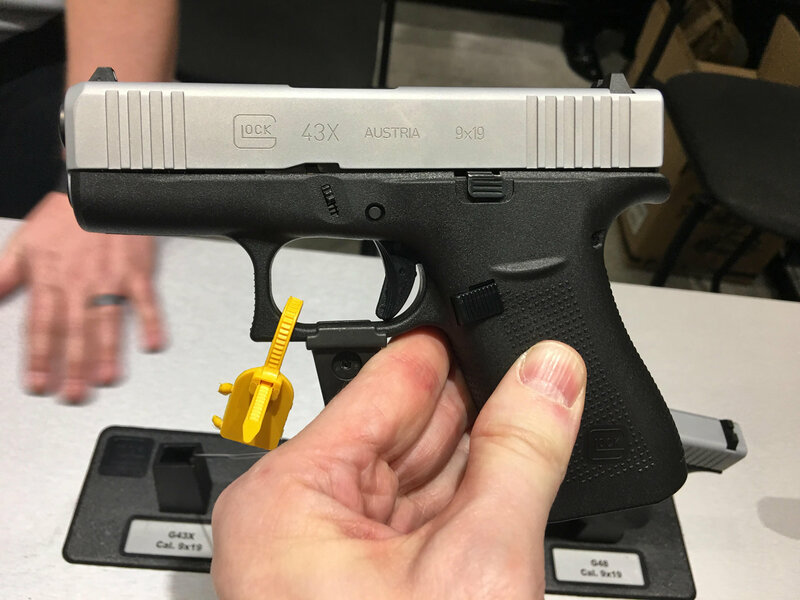 Glock 43X (G43X) Simline, Single-Stack Sub-Compact/Compact Concealed Carry (CCW) Pistol with 10 Rounds of 9mm Firepower! (Video!) | DefenseReview.com (DR): An online tactical technology and military defense technology magazine with particular focus on the latest and greatest tactical firearms news (tactical gun news), tactical gear news and tactical shooting news. 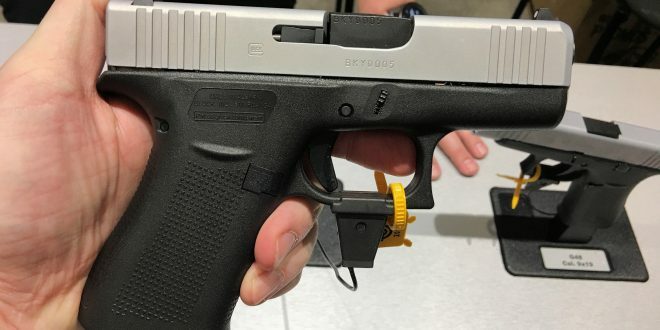 If you like the idea of a G43 (Glock 43) sub-compact concealed carry pistol with a larger grip and more rounds on board–10 rounds total, to be precise–then the G43X (Glock 43X) is the sub-compact/compact 9mm (9mm Parabellum/9x19mm NATO) pistol for you. 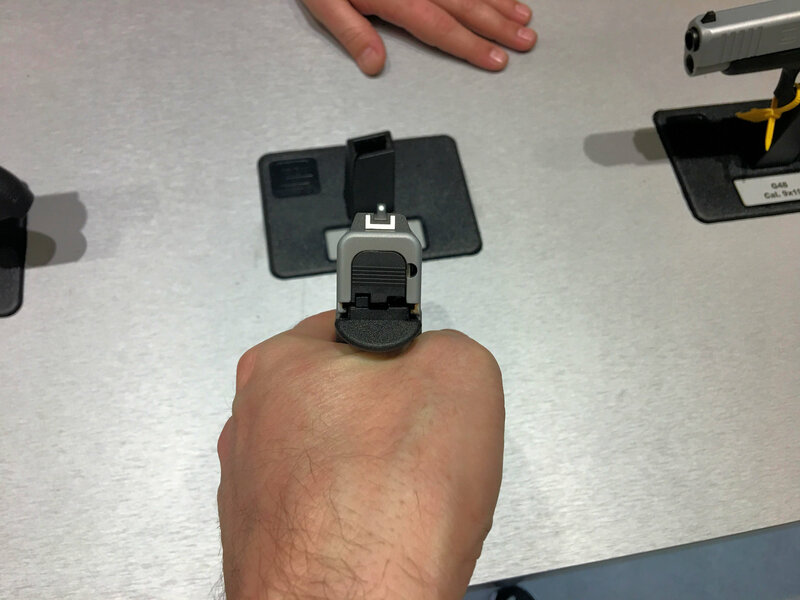 DefenseReview (DR) handled the G43X at SHOT Show 2019, and we liked it. 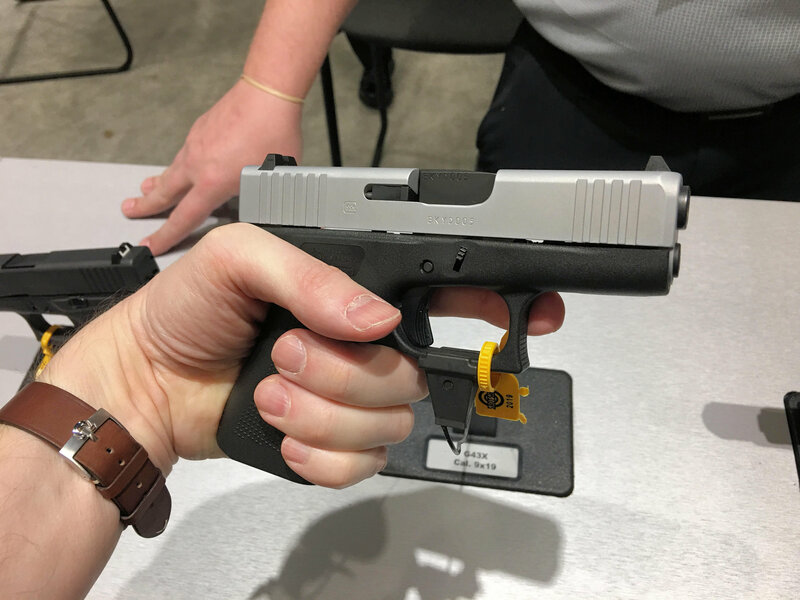 However, the Glock personnel at the booth told us that the new G48 (Glock 48) was actually the crowd favorite at Range Day 2019 (Industry Day at the Range 2019), due to the G48’s longer barrel and actual shooting characteristics. 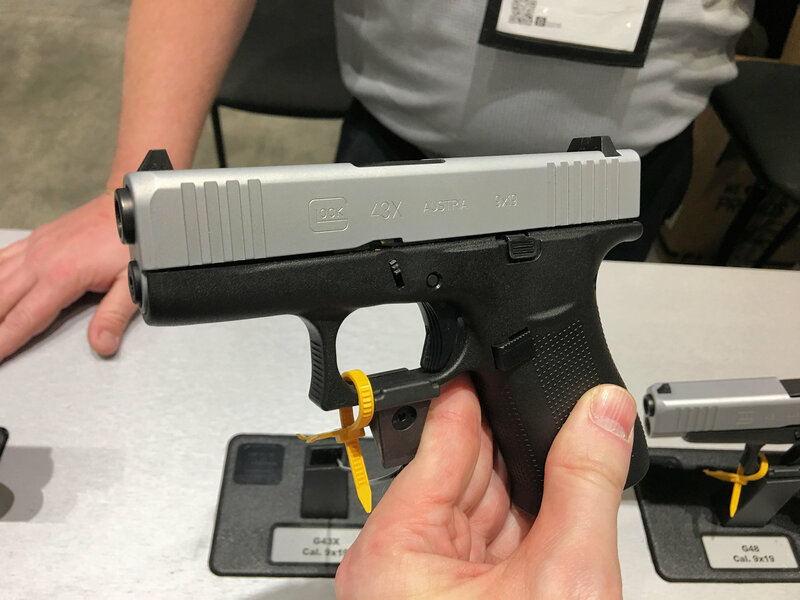 Defense Review just hopes the the Glock 43X pistol is soon offered in all black, just like the standard G43. We’re guessing it will be. We believe it’s currently only offered with a matte silver slide, like the one we handled.